In today’s day and age, the importance of cyber security is undeniable. With so many incidences of data theft due to unsecured exploits, weak server security and much more, it is a field that has become increasingly more prominent and many people end up looking online for answers on how to boost their cyber security. Assuming you’re an expert on cyber security and have some advice to impart, one of the best ways to do so is by creating a video guide. Granted, actually creating a video may be a bit outside your comfort zone – but that’s where the Movavi Screen Capture Studio comes into play. With it, you’ll find that you’re able to record the video footage that you need and turn it into a professional-looking video guide with minimal hassle. All that you need to do to record the video is take advantage of its screen capture features. Set the frame rate and recording area, and then be sure to set the audio source to record from your microphone if you’re looking to voiceover the video guide. Lastly, it might be a good idea to capture your keyboard and mouse actions by highlighting the cursor and demonstrating the key-presses on screen. Once that’s all set up, you can start the video recording whenever you’re ready. After the recording is done, you could just publish the video right there and then. However, it would be worth your while to take advantage of the editing features that are also present in the Movavi Screen Capture Studio. By putting them to work, you’ll be able to trim any unwanted footage, combine different segments of video, enhance the video quality, add a music track, include subtitles, utilize special effects and filters – and much more. Whenever you’re satisfied, you can save your video using one of the presets available to optimize it for the platform or device that you intend to use it on. 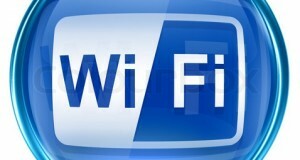 It is worth noting that there are presets available for most mobile devices as well as video sharing websites such as YouTube and Facebook. 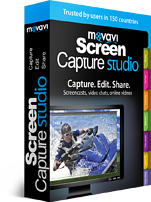 When it comes to screencast software, the Movavi Screen Capture Studio certainly stands out with its extremely effective combination of powerful features alongside an intuitive and user-friendly approach that will allow even amateurs to create great-looking videos.